Daytona Beach, Fla. (28 January, 2018) – After taking podium finishes in the Rolex 24 At Daytona the last three years running, Spirit ofDaytona Racing was hoping to emerge with a new addition for the trophy case this weekend as the team took to the World Center ofRacing to open the 2018 IMSA WeatherTech SportsCar Championship season. 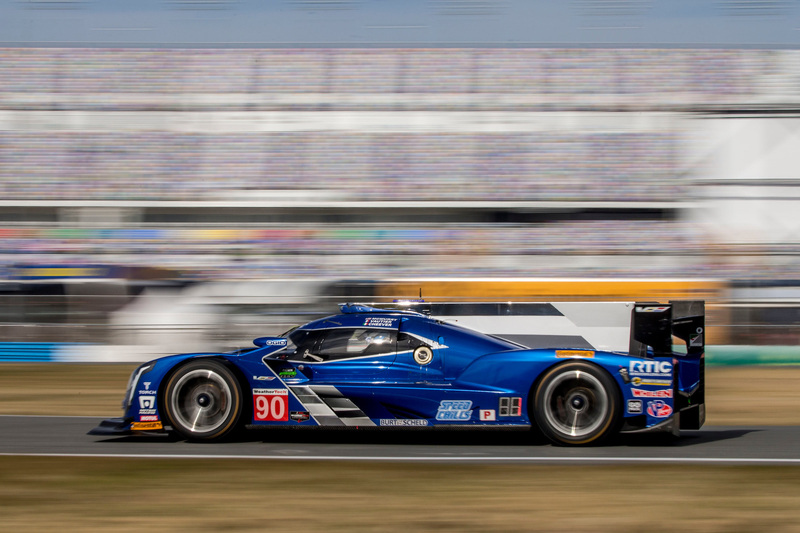 Ready to go with the team’s recently- acquired Cadillac DPi-V.R Prototype, the stout driver lineup of Tristan Vautier, Matt McMurry and Eddie Cheever lll teamed for the season opener at Daytona International Speedway. 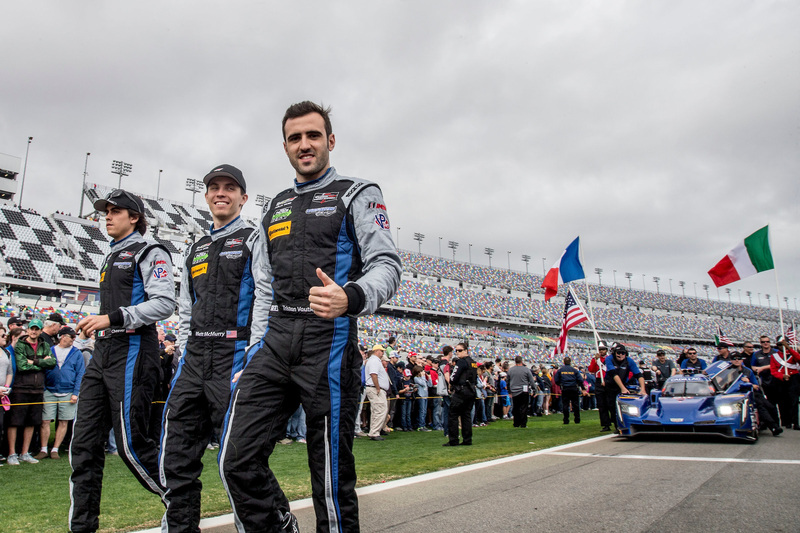 After leading the race early and running in podium position for much of the opening eight hours of the race, the home town team was well on the path to continuing its strong record of success in the Rolex 24. Unfortunately, that ambition was ultimately thwarted by a mechanical issue. Vautier started from fifth and ran in that position in the initial stages, moving to fourth on lap 22, then further improving to second place by lap 33 before taking the lead on lap 41. When McMurry took over, it was more of the same as the young American clocked lap after lap in second place and returned the No. 90 to the lead on lap 133 before turning the car over to Cheever a few laps later. 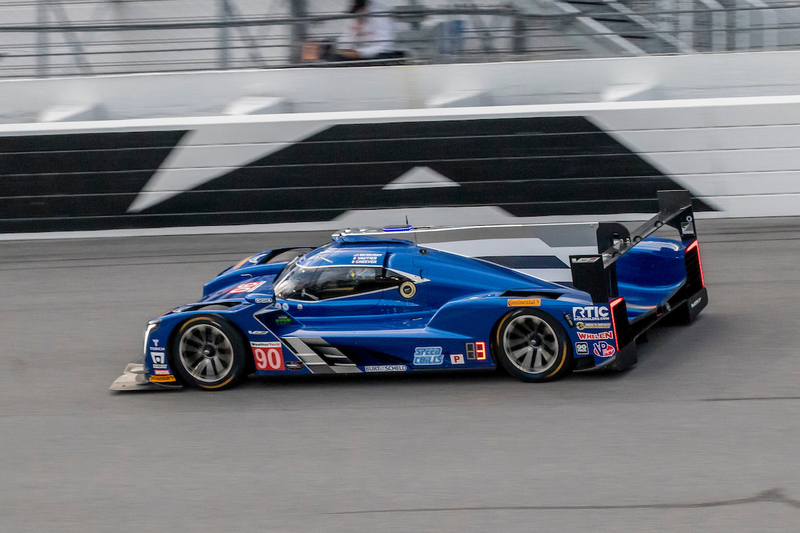 The Italian-American continued to keep the blue Cadillac in the frame up front, showing strong pace in his IMSA debut on board the Cadillac Prototype. A sudden rain shower saw the team make the move to rain tires as the entire track was enveloped in an intense downpour that lasted more than 15 minutes. Despite the challenging conditions, the race remained green as the depth oftalent in the field was well on display. 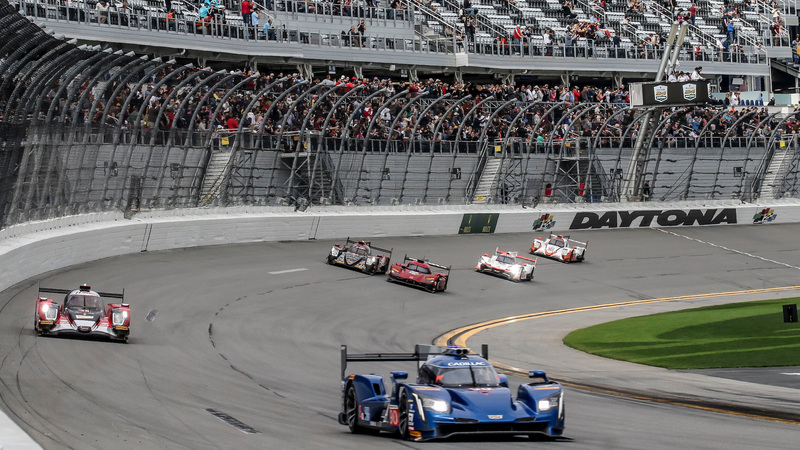 The transition back to dry running saw the squad still in the top ten as the drivers began their second rotation of stints in the Daytona night. Unfortunately, as McMurray continued to click off the laps in a race that pressed ahead at an unrelenting speed, his pace was soon slowed by an intermittent engine misfire. The team sent the car back to the garage to work on a range of diagnostic measures, but after closer evaluation, the misfire proved to be too deep in the motor to address and the effort was retired. The early end to the race was a disappointing outcome for the team, which had impressed with a strong team effort to be prepared with the new Cadillac machine just weeks after taking first delivery. But after showing impressive pace both in opening testing and also at race time, the group will head home with thoughts of Sebring already on their minds. The team will now focus on preparation for the Sebring 12 Hours on March 17.